Jasper man arrested for theft. 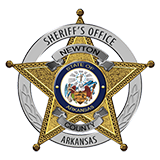 Newton County Sheriff Keith Slape said that Clifton Baker, 27, of Jasper was arrested February 24 for commercial burglary, possession of a contolled substance, theft of property and breaking and entering. Slape said that Baker was seen at a residence in Ponca and when the resident drove up, Baker told them he was looking at their guttering to see how it was installed. Baker left and the resident noticed that their door had been opened and someone had gotten in the home. Officers located Baker which had property belonging to the Buffalo Outdoor Center. The investigation shown that a cabin belonging to Buffalo Outdoor Center had property missing and the property was still in Baker's vehicle.